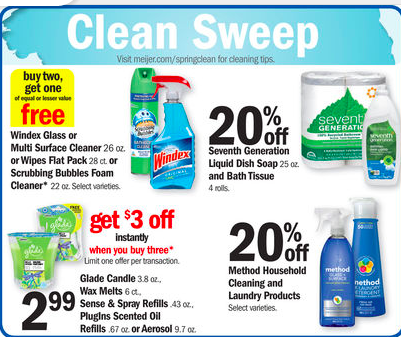 Meijer Shoppers: Moneymaker on Glade products starting 4/19! Sense & Spray Refills .43 oz. PlugIns Scented Oil Refills .67 oz. They can be pared with the following coupons and app rebates for some moneymaking deals!! !